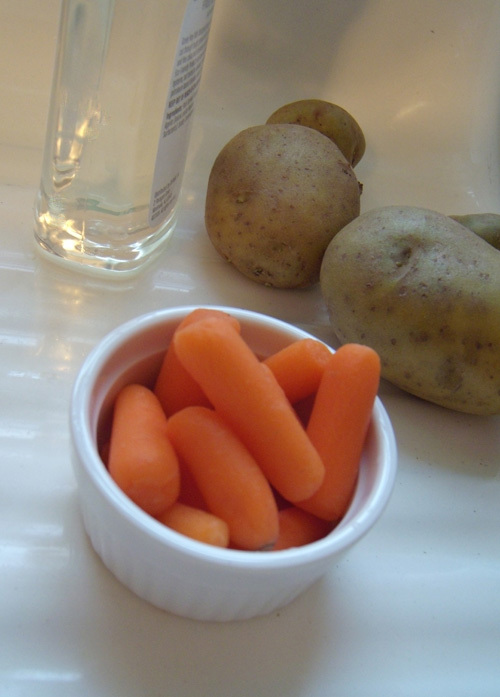 Mind Body Spirit Odyssey: Baby Carrots - Do You Know What You Are Eating? I'll admit I never gave a second thought to a baby carrot until I read about them in the latest magazine issue of Mary Jane's Farm. Then I just wanted to gag. Sure, they are cute. And yes, I always thought that they were a good alternative to giving kids chips for lunch. The grocery stores where I live out East have multitudes of them. Organic, non organic. And who among us has not munched on them for a "healthy" snack or at the appetizer table? Baby carrots are not actually "baby" carrots at all. They are cut down from regular full-grown carrots that have been rejected for size and deformities. The are not as nutritional as regular carrots because, as we all know, most of the nutritional value of a carrot comes from the skin and the area around it...which is peeled away on a baby carrot. Since these baby carrots are pre-peeled, they are then soaked in a chlorine solution to kill the bacteria and help preserve that lovely right orange color (that never seems to change, if you stop and think about it). Unfortunately, this is a standard practice even for organic carrots. Watch what you are buying. Read the labels closely and look for "true" organic carrots, those that are grown and harvested as babies. Better yet, spend and extra 5 minutes in the morning and cut them up yourself for your kid's lunch. It's less expensive that way too. This is just another small way to "go green" folks, and improve the quality of your diet as well. I always was suspicious of those carrots. You can buy dwarf variety carrots, which are not actually "baby" carrots but are just as nutricious as a "normal" carrot and marketed as "baby carrots". They are not all treated as you mention in your article. WOW! I always wondered why those baby carrots would have a white film on them. Thanks for the info!